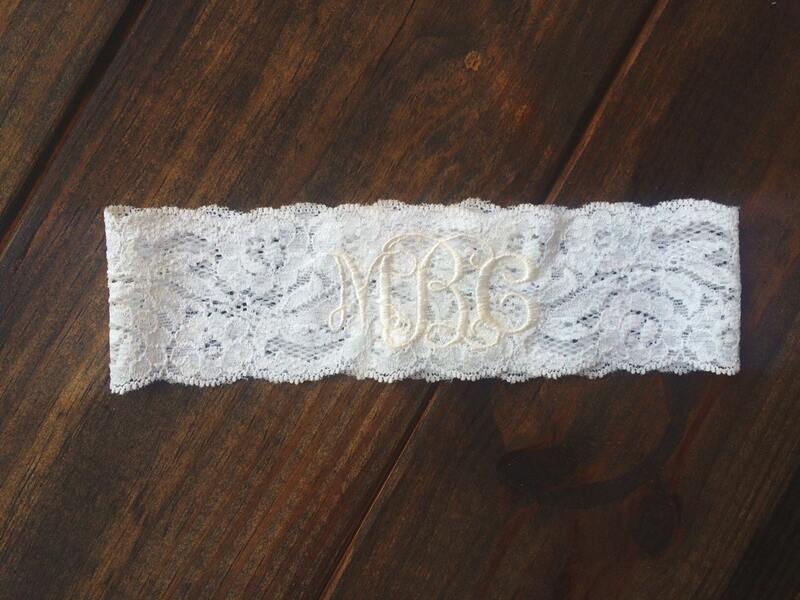 This listing is for an Elegant monogrammed Garter in ivory lace and ivory thread. 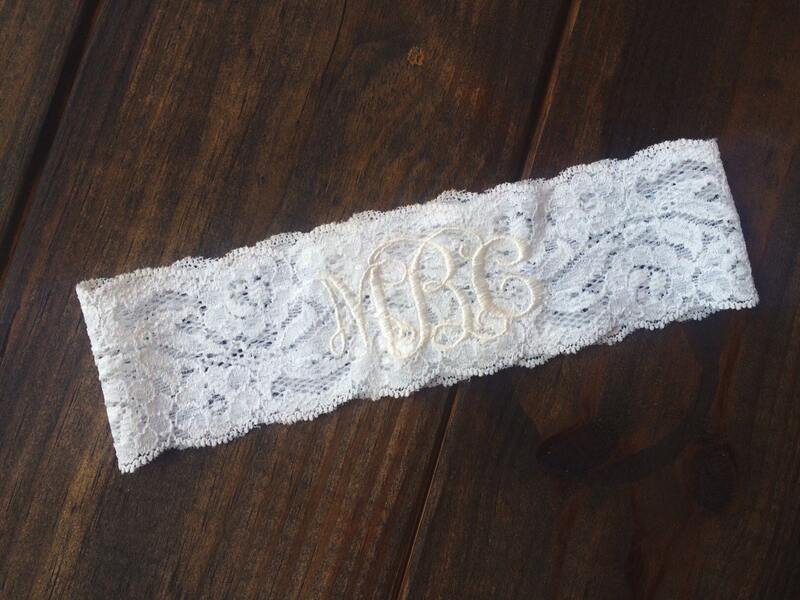 WANT ANOTHER COLOR? JUST ASK!